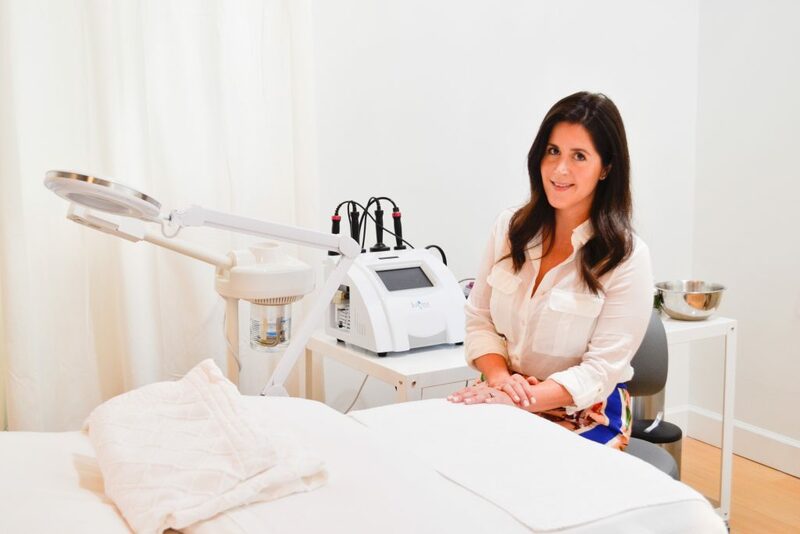 Spa it Girl caught up with LA Skincare #GIRLBOSS Courtney Chiusano, founder of Courtney Chiusano Skincare to find out her GO-TO Skincare Tips, What Makes Her Happy plus so much more. Can you Tell Us a Little Bit About Yourself? I’m originally from Massachusetts and moved to LA 13 years ago to attend FIDM for their beauty industry program. I’ve always been extremely engrossed in all things beauty and I wanted to pursue a career in the beauty industry. I wasn’t sure exactly what that looked like so I tried the spa industry straight out of school and it really carried me away. What Inspired you to want to start up your own business Courtney Chiusano Skincare? I had worked extensively in the administrative side of the spa industry and realised from an outside perspective what a great service provider needed to be and I wanted to be it. After struggling with my own skin, I really immersed myself in as much education as I could and worked on building my skills over the years. The more I learned the more passionate I became and I really wanted to help others, my own space just naturally blossomed from that. What does your Skincare Routine Look Like? Consistency is key when it comes to skin care so I take my routine very seriously. I cleanse my face in the morning with a Kombucha Cleanser, then apply a vitamin C serum to protect from UV damage (it’s always sunny in LA) then I press in a facial oil and end with a tinted spf/ mineral makeup. What are your Favourite Skincare Products to use on Yourself and Your Clients? Organic and natural is the best and all I use, we absorb so much of what we put on topically so it’s essential that it be as natural as possible. My favorite lines are EmerginC Scientific Organics, Nuori, Isun, H is for Love and I recently discovered 5Yina which I’m really loving. What is something we could add into our own skincare routine to help improve it? Exfoliation is a great thing to add to keep your skin glow and youthful but it’s so important not to over do it. I commonly see women over exfoliating which causes more issues. If you aren’t exfoliating, 1-3 Times per week with a scrub or gentle acid is plenty for most skin types. We see you offer Myolight Therapy as part of your skincare treatments what is this? This is by far my most intensive treatment, I spend 90 minutes of the treatment focusing on correcting your skin issues whether that be cleaning out congestion or lightening hyper pigmentation then I spend 30 minutes incorporating the Myolight therapy which is tailored to your needs. I select specific LED color combinations for your skin issues that need correcting then use the micro current modality to manipulate areas of the face that need lifting. It’s a very transformative treatment and can target an array of skin issues. What are some other things you love to do when you are not being a #GIRLBOSS and on the job? I LOVE to cook. I really unwind in the kitchen and usually spend my Sunday making my husband and I a really great Sunday dinner. I also love to do pub trivia with my girlfriends, it’s a fun night to have a cocktail and exercise your brain. We always do really well! 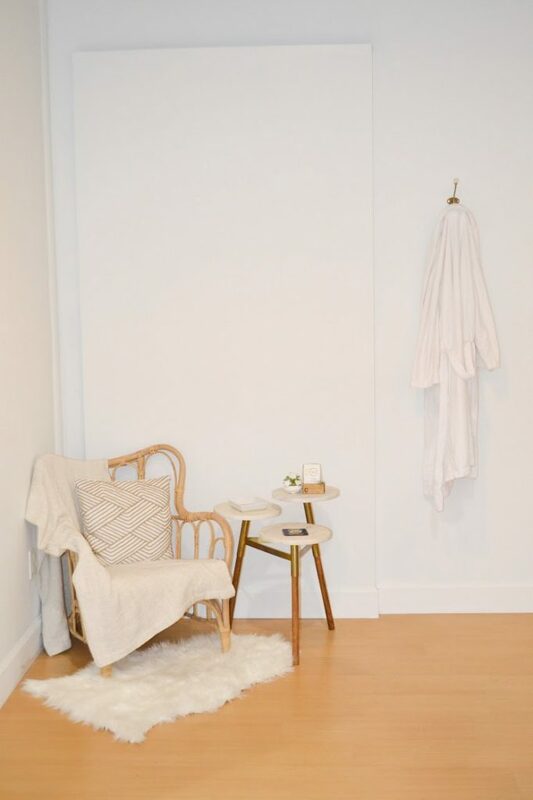 How do you find your Inner Peace whilst living in a Busy place like LA? LA is so busy and energetic so it’s important to find your zen. I really recharge when I’m alone so I make that time just to sit quietly with a book or go for a walk around the grounds at LACMA. It’s so essential to my well being. Who Inspires You My clients inspire me, I am so grateful for the wonderful women that I am lucky enough to care for. They have given me guidance, support and so many of them are incredibly strong and successful, I’m happy they share their wisdom with me. What Makes you Feel Good From Within? Taking care of people makes me feel great which is wonderful because I get the opportunity to take great care of people daily. It’s so fulfilling to see my clients enjoy their experience and see their skin change. What Beauty, Skincare Products can we find in your handbag if we took a look? I love to keep Isun Ormus Myst in my bag, it’s great mist to refresh your skin (and makeup) during the day plus it smells fantastic. It’s a really luxurious midday pick me up. As we age one of the skin concerns can be wrinkles around the eyes do you have any tips on things we could do to help prevent this? that doesn’t require having botox? A great eye cream, tons of water and sleeping on your back will definitely help with prevention. I also recommend micro current based treatments to treat the eye area, you will get the lift and smoothness without needing Botox. Do you have any Favourite Face Masks we need to know about? My favorite masks at the moment are Nuori Supreme Moisture Mask, H is for Love Propolis Mask and 5Yina Divine Biocellulose mask. They all feel great and you will notice a visible difference in your skin. When it comes to having a Facial do you recommend once a month? Every 4 weeks is ideal to see best results but if that’s too much for time/budget, every 8-12 weeks will still be beneficial. Do you have any Favourite Spa’s you like to visit? I love Olympic Spa and the Now for massages, my job is super physical so the body work is essential for me. Also, I love a good mani/pedi. How do you keep Healthy and Well when living in LA? To stay healthy I see my personal trainer, Mysti Friedman, at least once per week and love to hike Griffith Park when I get the chance. I love to cook, so most of my meals are home cooked from organic ingredients but if I’m in a pinch I love Sweetgreen. As a #GIRLBOSS running your own business do you have any words of wisdom to share for those thinking about going out on their own? You have to really love what you do because you are going to work harder than you ever have before. It will eventually get easier but it’s definitely an insane amount of work to get something off the ground. Also, don’t over analyze every little thing and trust your gut, it will steer you in the right direction. Do you have any tips on how to manage your time between clients, work, running a business, family, friends and overall life? Do what feels good for you, I really listen to my natural rhythms. I have weeks were I am all business from the minute I wake up until the morning I go to bed, I am a bit of a work horse, it’s where I thrive. I also can get burned out easily with how physical my job is so I will have a week once a month where I slow down my schedule, book less appointments and leave work early/go in late. I still make sure to keep up on essentials (like client emails) but allow myself for an afternoon or morning off for some alone time or to catch a happy hour with my husband. I essentially schedule my time to relax. Can you share any Mantra’s you love? The only way to eat an elephant is one bite at a time. I take this with me in all aspects of life, especially in business and skincare! 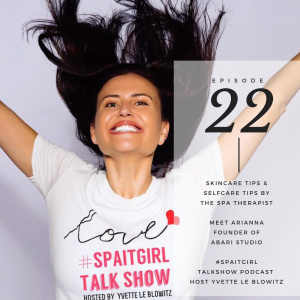 It’s so easy to say all the things you don’t like about your skin which can be overwhelming. Start with one thing and work your way up from there. 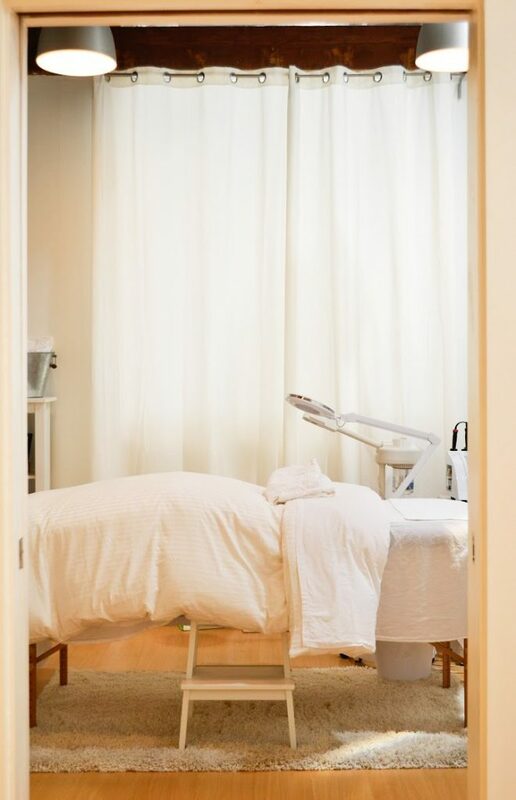 Spa it Girl believes that having treatments makes you feel good from within and it goes well beyond your SKIN – do you tend to agree? I can’t agree enough with this, when you care for yourself it transcends appearance. It makes you feel confident and cared for which carries into all areas of your life. What does your own Me Time look like? Bathrobe, candle, epson salt bath with a face mask then cooking an amazing meal. Both are apart of my Sunday afternoon routine. What’s on the Cards for 2018? More education, I am always expanding on my craft! I find new opportunities are always arising so if you focus on being your best, you’ll always be ready for whatever comes up!